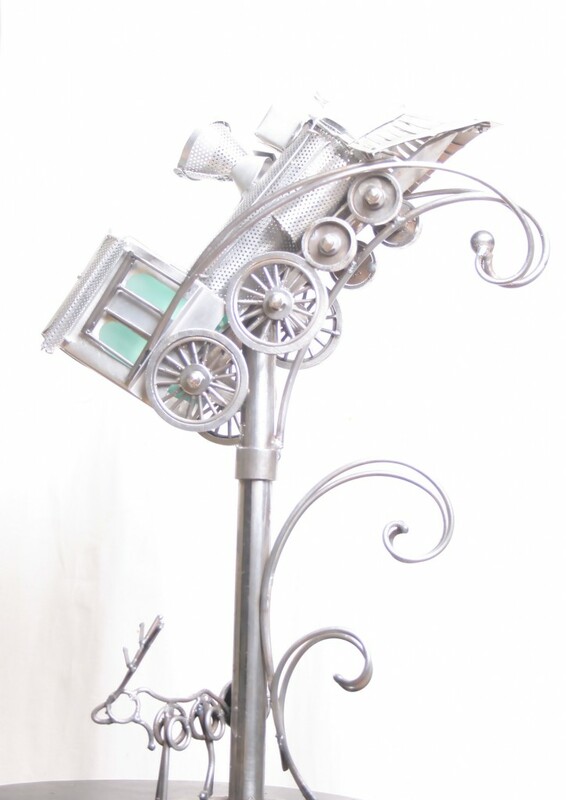 This is a new human powered kinetic sculpture with dynamic solar lighting. 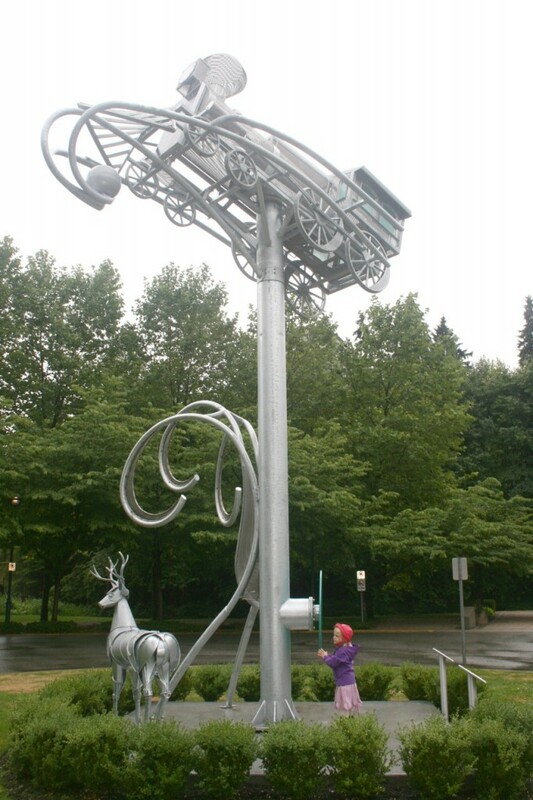 A great big human powered kinetic sculpture (The Tidal Train) has arrived at Port Moody City Hall. Port Moody is where Canada’s first transcontinental train finished it’s remarkable journey. This artwork celebrates that achievement and the natural beauty of the surrounding area.While contemplating the possibilities for the project the nature of the site is an important consideration. I am inspired by the history, landscape and architecture of the surroundings. The circular space in the centre of the traffic circle is framed by the architecture of the Civic Centre and acts as a welcome mat for the city. Seen from above, the space resembles a stage for a theatre in the round. City hall, the library and the Inlet Theatre become the “audience”. What would the set look like for the story of Port Moody? What completes this scene? Nature is an important element in this story. Deer and bears can stilll be seen wandering into town from time to time. Water is the lifeblood of Port Moody. The shore and watersheds are defining features of the area. The train reflects both the history and future of Port Moody. The first transcontinental train arrived and Port Moody became the destination of a very significant historical achievement. Soon a Skytrain will begin to connect Port Moody to other communities and help define the future. 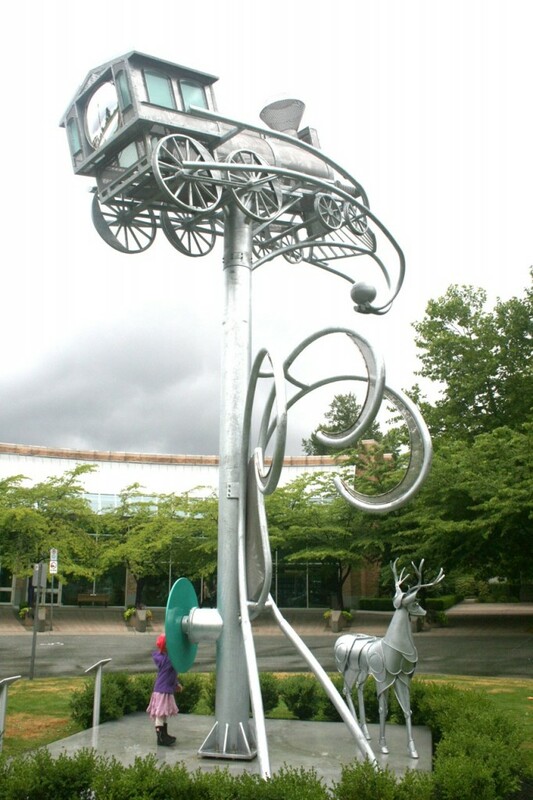 The Tidal Train artwork incorporates all of these unique elements of Port Moody. 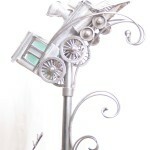 The artwork has harmony and drama, movement and tranquility, context and creativity. 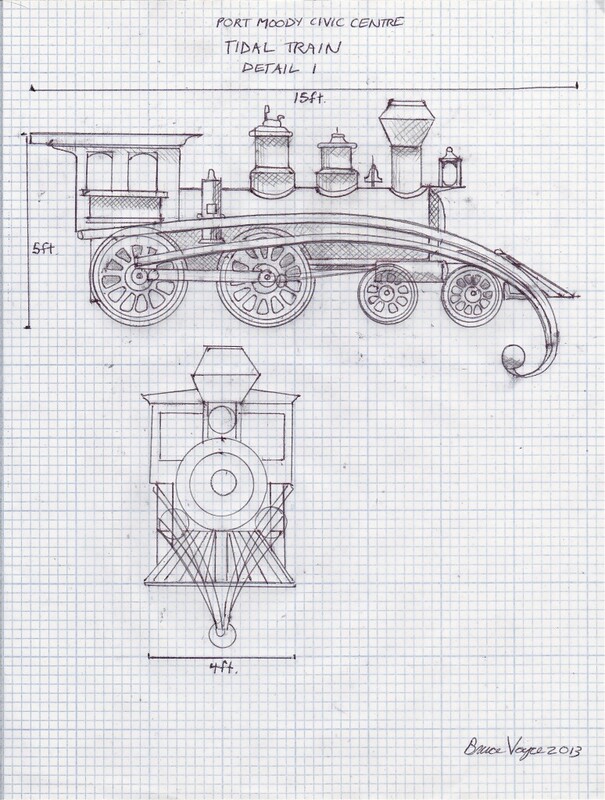 Tidal Train is a creative fusion of forms. As with a theatre set, there is an interplay of the elements. The artwork invites participation. 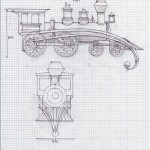 The rotation of the train engine completes the landscape of the traffic circle and connects the roundhouse design of the architecture to its context. The suspended engine also speaks of the Skytrain that will soon arrive. The engine dances on the waves connecting the past and the future. When one spins the wheel below, the engine begins to rotate above. Movement and context are integrated with the architecture and meaning of the roundhouse. 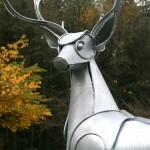 There is now an engaging kinetic sculpture that signifies the unique context and history of Port Moody. 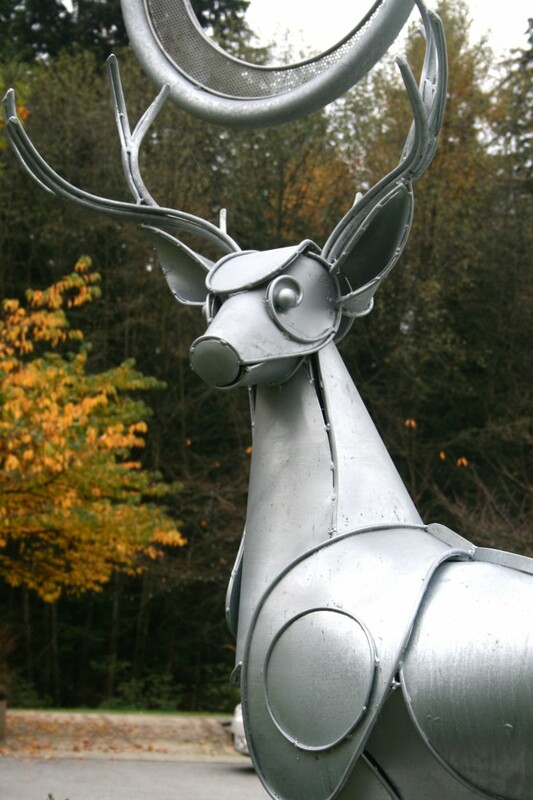 The story of Port Moody is poetically expressed in this interactive kinetic sculpture. The Tidal Train is a reflection of the past and the future. The beautiful and powerful form plays with the interface between nature and humanity. When one turns the wheel below, the engine rotates in a dance that connects the architecture of the roundhouse with the legend of the first transcontinental train. 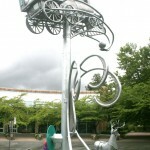 The artwork speaks of the environment and the future arrival of the Skytrain. A landscape of memory is created and one sees what was hidden.